People are choosing rugs over wall-to-wall carpeting, and the patterns are often big and geometric to match the décor and style of contemporary homes. This midcentury blue-and-gray rug by French Accents reflects the new trends. 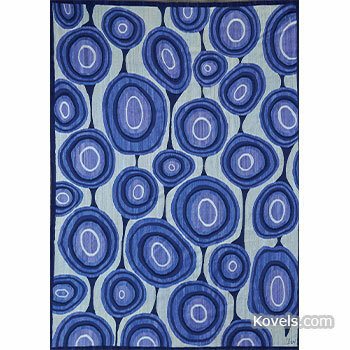 See more rugs and prices.